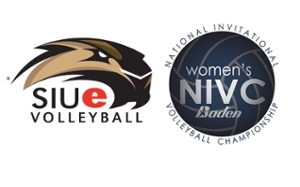 SIUE heads to the postseason for the National Invitational Volleyball Championship (NIVC) and plays its first match Wednesday against Arkansas State at the University of Mississippi in Oxford. The Cougars, 23-6 this season and the automatic qualifier for the Ohio Valley Conference, will face Arkansas State (20-11), an at-large qualifier from the Sun Belt Conference, in the opening round at 3 p.m. CT. SIUE is led by first-year Head Coach Kendall Paulus. The winner of Wednesday’s match moves on to face the winner of Stephen F. Austin (26-7, Southland) and first-round host Ole Miss (16-14, SEC), which face off at 6 p.m. The NIVC is an annual tournament involving 32 of the nation’s top women’s Division I volleyball teams. All matches, including the semifinals and championship, are hosted by participating schools. Every round is single elimination. For more information, visit siue.cougars.com.